As much as I love shopping, Christmas shopping is a whole different kettle o' fish. I used to find it theraputic but as time goes on and people get older, I have found that shopping for my nearest and dearest has become one of the most daunting experiences of the year. I mean every body already HAS everything! So I turned to Yours Clothing and Bad Rhino to help me find an outfit for my Mum, Dad, my other half and my daughter. Mum has always been stylish and loves to dress up and look glam, but unfortunately due to her health she doesn't often get the chance to dress up. 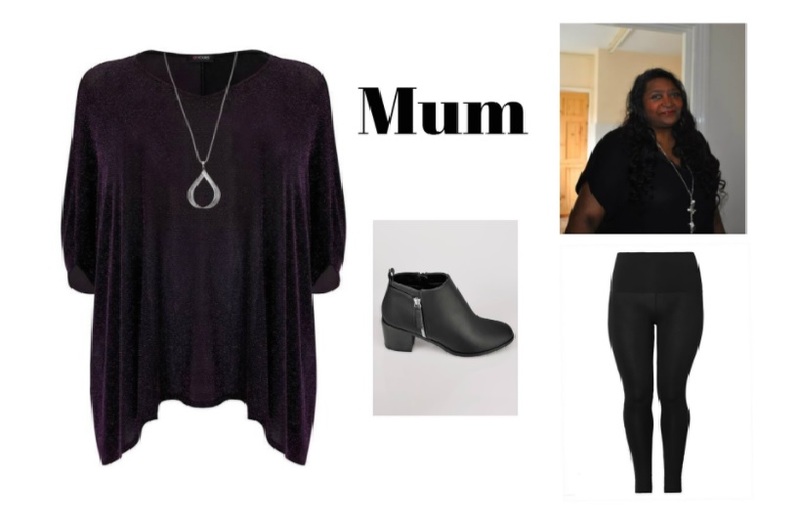 Mum needs a comfortable outfit that still looks sassy, so I have chosen a pair of leggings, a comfy pair of boots and a gorgeous sparkly top (which comes with a free necklace!) Mum likes to wear a longer top and she prefers flowy to fitted so I think this outfit is perfect for her. 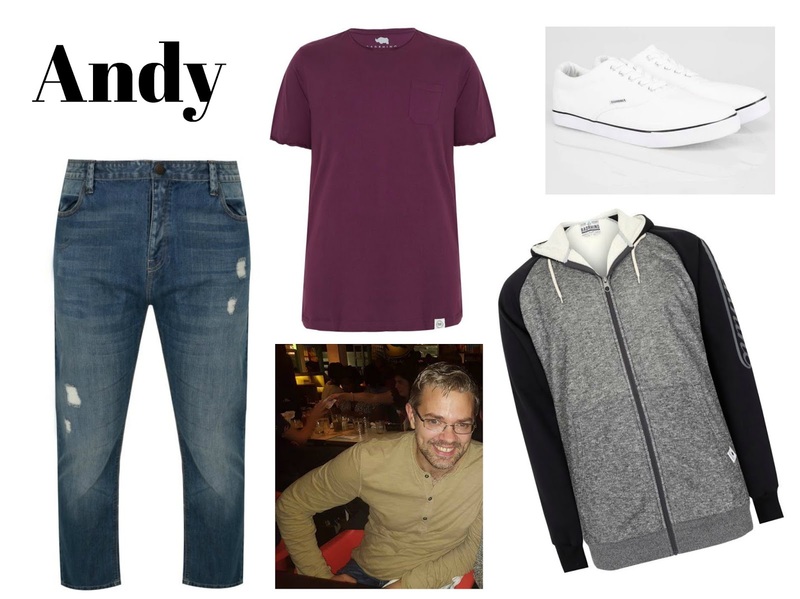 Andy's personal style is very laid back and casual. He spends all day in a suit so when he is at home his go-to look is jeans, hoodie and trainers. I didn't want to stray too far away from what I know he would feel comfortable wearing. Often he lets me loose when it comes to his clothes shopping, after all it's me that needs to look at him most ;) So I would love to see him wearing this outfit. 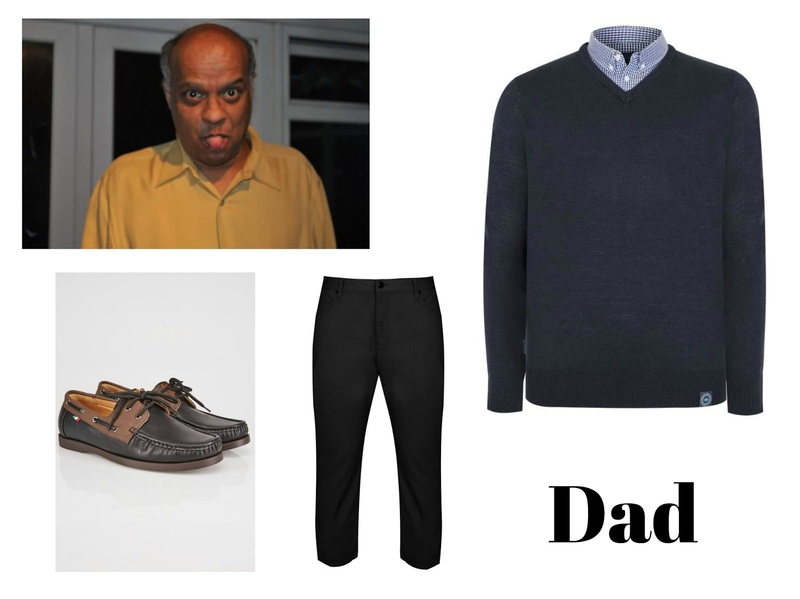 Dad is pretty simple when it comes to clothing, he gets clothes pretty much every year and rarely bats an eyelid regardless of what we buy him. If I had to describe his style, I would say that he is quite casual on a day to day basis but when it comes to special occasions he will opt for a smart shirt and trousers. So I have chosen an outfit which I think is the best of both worlds. Shopping for Mya is tough - I guess shopping for any teen isn't easy as they can be fickle. Mya's style screams casual but when she glams up she goes all out. I have chosen an outfit that I think Mya would happily rock of a weekend. This outfit still has a young feel to it, but I actually love this outfit so much that I may buy it for myself too! We could be twinsies!! Why don't you try and style your family...it's actually quite fun!! !